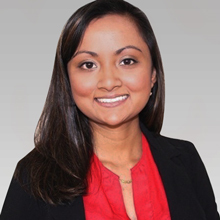 When she’s not globe trekking on her next travel adventure, Durdana works as a law clerk at eMinutes and recently took the California bar exam. She earned her B.A. with College Honors in International Development Studies at UCLA and is completing her J.D. at Loyola Law School focusing on a corporate law concentration. She’s passionate about the innovative ways technologies and businesses can provide social entrepreneurship and more equitable and connective globalization. In her free time she enjoys being outdoors in nature, hiking, and cooking.